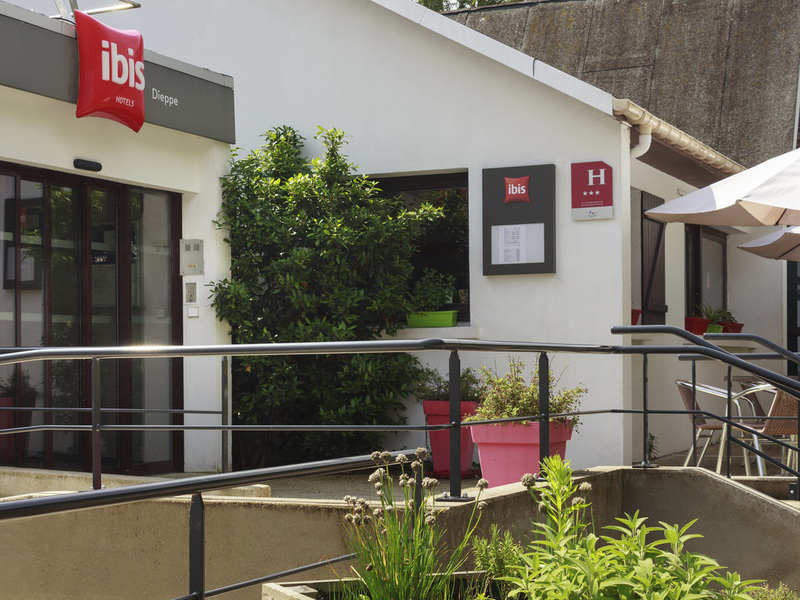 The Ibis Dieppe Val Druel hotel is located 5 min by car from the centre of Dieppe, the château and the Cité de la Mer. Close to Le Belvédère shopping centre, it has 45 rooms and 1 meeting room for organising seminars and conferences. It also has a restaur ant, a bar serving snacks 24/24 and private closed outdoor parking. Guests on a business trip will appreciate the Wifi wireless broadband Internet access. The Dieppe golf course is 5 km away. 5 min from the hotel: aquatic and balneotherapy center, Château Musée, Ferry to Newhaven-Brighton, port and beach. The hotel was very comfortable and amazing breakfast. Mobility access not great but staff very keen to help solve the problems. Spotlessly clean,warm welcome on our second visit here. We returned here after a pleasant first visit last year and were not disappointed,being welcomed with friendly,efficient service and a cosy log fire beside which we enjoyed a relaxing,tasty meal. Our room was warm and comfortable,quiet and faultlessly clean,ensuring a good night's sleep. Breakfast was excellent,with a tempting choice of varied dishes,attractively presented,giving us a hearty send-off on our long journey to Scotland.Easy access to the Ferry is another plus which will draw us back. Stress free, no hassle, great hospitality. Welcomed us with our 3 dogs and accommodated our request for ground floor room near entrance. 24 hour reception was great as we needed to check out at 3.30 am to catch early morning ferry. As we were unable to take breakfast, we were offered a coffee (on the house! ) before keaving which was lovely. Great value for money. Would definately recommend this hotel. We found the hotel very welcoming for us and our small dog by your pleasant and helpful staff.The parking was very good, the room was clean and the bed very comfortable .The breakfast was excellent and set us up perfectly for our long drive ahead.We thought it was excellent value for the price we paid. The most comfortable bed I have ever slept in. Very comfortable bed and duvet. Very pleasant and helpful staff. A most agreeable experience. Thank you. Everything was as I expected. Kind and helpful welcome and a lovely breakfast. Easy check in, clean room, nice breakfast. Good value.